Yeah, it’s a bit of an oddball place, but even in a state known for beautiful water scenery, no place tops the Upper Peninsula. The best spot to catch great views is in the far north, at Copper Harbor, but a drive through the vast wilderness on the way there is just as vibrant, and mostly uninterrupted. This vast mountainous region in Eastern Pennsylvania spans 2,400 square miles, so you can visit any of its three leaf-peeping regions at different points of the fall and get a completely unique experience. With 127 different types of foliage, peak season will vary between the northern, central, and southern regions, and the tourism department’s Facebook page lets you know when each one is at its peak. Fall colors are great. Fall temperatures? Not always so much. That’s why if you prefer the climate-controlled comfort of your SUV there’s no better place in America for leaves than Shenandoah National Park. 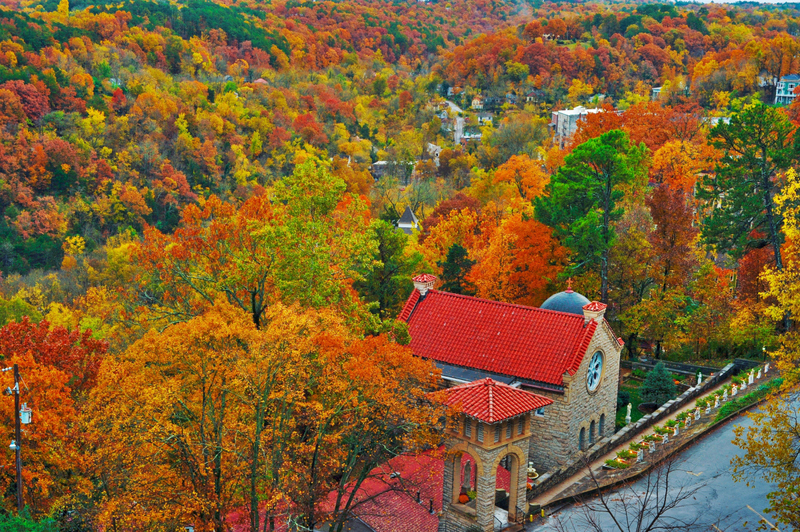 It’s home to the famous 105-mile Skyline Drive, where you’ll be enshrouded by a canopy of red, orange, yellow, and green. The Pacific Northwest might be the country’s most underrated region for fall colors. Many think of it as either evergreen or desert, but a hike to Multnomah Falls during September or October will have you standing on a bridge under a thundering waterfall, surrounded by the brightest colors you’ll see in the region. For the best view of these bluffs that line the Mississippi River, jump on the Great River Rd — aka Hwy 60 between Red Wing and La Crescent. It’ll not only take you through charming little river towns, but also some of the state’s best scenic overlooks at Frontenac and Great River Bluffs State Parks. It’s worth a trip to this tiny resort town outside Denver just to spot bright yellows and oranges against majestic snow-capped mountains. But if you truly want to go all back-to-nature and shoot your own dinner while you’re there, Aspen Outfitting will take you out into the fall foliage with trained dogs, help you flush out birds, and bring back whatever you manage to hit.